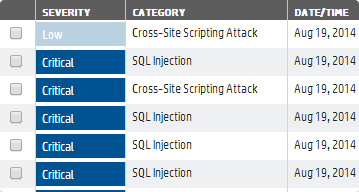 Protect specific vulnerabilities or stop entire attack categories. 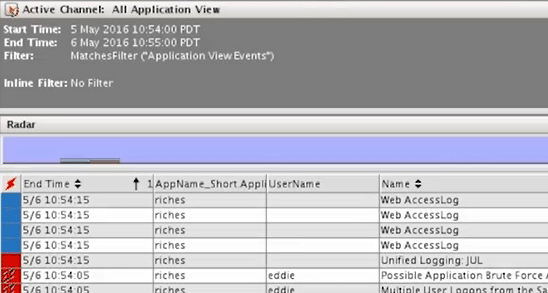 Drill down to see event details, including the actual SQL code constructed within the application. New applications are added in monitor status. You choose what to protect, monitor or suppress. Instantly see exploits of production applications. 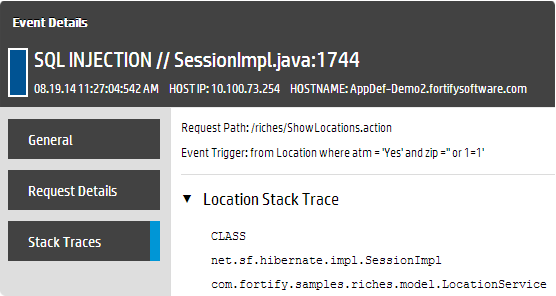 Continuously monitor application use and abuse to pinpoint vulnerabilities for protection or remediation. 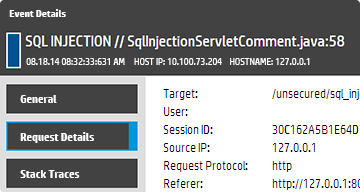 Send log data to your SIEM or any log manager without creating custom log parsers. 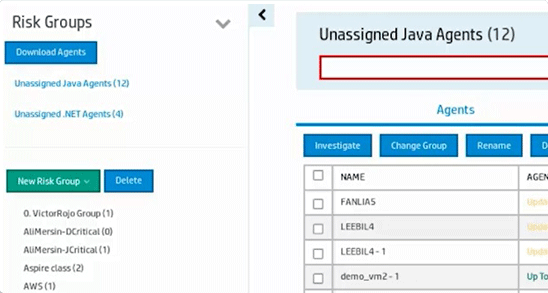 Create risk groups to monitor and protect applications in the runtime environment. Update rule-pack templates easily and quickly. Manage agents, risk groups and users via the cloud or on-premise in your datacenter. 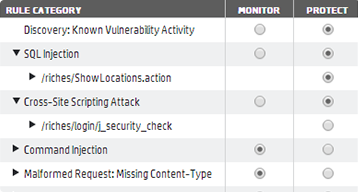 Filter by severity, vulnerability category, time horizon, or application risk group to communicate relevant metrics. Quickly show critical attacks prevented, activity targeting specific vulnerabilities, or a spike in certain attack types. Send detailed information on critical vulnerabilities to the development team for remediation and coding feedback. Detail the location of the threat, the source and the host. Prioritize the most critical items. See and stop vulnerabilities in production applications. See how easy it is to get started.